Heavy Metal From Melbourne showing the World how to do it. Latest News, Pics, Gig Guide etc. Very BIG band complete with brass section. High vibe party boys. Hammaraxx played with King City 7 at the Mercury Lounge. Website: Flash driven website: Gig guide, pics, latest news etc. Hammaraxx will be playing with Medusa at Music Land in July. 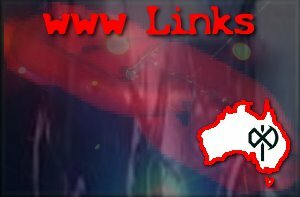 Website: Includes, Gig guide, downloads, photo's, merch and heaps more. Hammaraxx will be playing with Mortification at Music Land in July. Website: The official Information Website of Mortification - Links to soundmass.com for merch. Website: Latest news, Gigs, photo's, music etc. You can also view zeptepi Music video from the website. Website has been offline lately - try Google if it is still offline. A Unique Function Room set up like no other. The bar is a boat and the walls are filled with memorabilia. The Mercury Lounge Website has very detailed information about the venue and a gig guide. appears to be updated monthly. 979 broadcasted the festival at Melton that Hammaraxx played in April 2006. Oz-Star Hosting have great hosting plans at really cheap prices. The best part is they are run by musicians and give the best support. Tell them Hammaraxx sent you. Salvia Crusaders are trying to restore a freedom most Australians are not even aware of loosing. "The Secret" promises to reveal an age old secret to "Life" to all. Hint: "That, which is above, is like that, which is below"